Home > news > Is Europe in Denial about the Mediterranean Fisheries Crisis? Is Europe in Denial about the Mediterranean Fisheries Crisis? This October, EU Environment, Maritime Affairs and Fisheries Commissioner Karmenu Vella will host the annual Our Ocean conference on Malta. By inviting high profile guests from around the world to his home country, Commissioner Vella aims to attract international praise for European nations by focusing the conference on ocean governance and plastic pollution. But Mediterranean waters surrounding Malta have little to celebrate. It’s currently estimated that the Mediterranean EU stocks are 96% overfished, and the sea is the sorriest example of the EU’s failure to effectively implement the pillars of the Common Fisheries Policy (CFP) and to end overfishing. 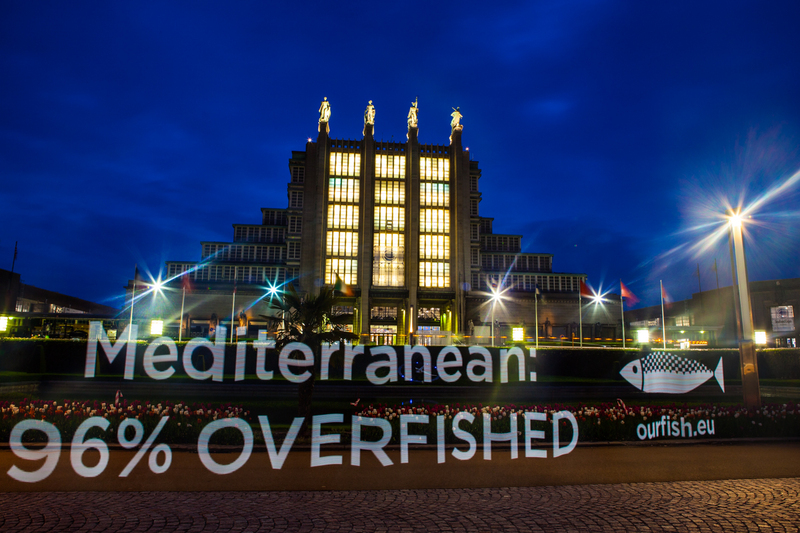 Despite last month’s signing in Malta of the Medfish4ever Declaration by Mediterranean leaders, it seems that governments, particularly EU governments with Mediterranean waters, are in denial about the near-collapse of not just the fishing business, but the entire ecosystem. The declaration seems to be a plan about a plan, rather than real, urgent, concrete measures to conserve, protect and manage Mediterranean fisheries now. Some denial of what happens below the shimmery surface of the Mediterranean can perhaps be understood – apart from divers and fishers, for many people, their relationship with the Mediterranean extends no further than the dinner plate or their beach towel. So long as the fish keep appearing in our markets and restaurants, we don’t ask questions. So long as expert scientific advice continues to be swept under the carpet, by the industry and politicians, the public is kept happy. How long can they keep stretching the truth? The Our Fish team recently noticed that the organisers of the Our Ocean conference appear to be in denial over what happens above the Mediterranean’s surface, too. When checking out the Our Ocean website we noticed that an image of the famous Azure Window, or it-Tieqa tad-Dwejra, a natural stone arch connecting land and sea on the Maltese island of Gozo. Game of Thrones fans might remember the arch as the backdrop to the marriage of Daenerys and Khal Drogo in season 1. But since March 8, the Azure Window no longer exists – it collapsed into the sea after a heavy storm, prompting widespread media coverage, and comments from the Maltese Prime Minister. Yet the Our Ocean folks appear to have not gotten the memo. If they believe that it-Tieqa tad-Dwejra still stands, perhaps they are also living in a make-believe world where Mediterranean fisheries can resist collapse from unfettered overfishing? The Azure Window is gone, taken by the forces of nature. No amount of action or Declaration signing will save it, and it will not be rebuilt. However, Mediterranean fisheries still have a chance. They may be 96% overfished, but if urgent action is taken to halt their overexploitation, Mediterranean fish stocks have a good chance of rebounding to more sustainable levels by 2020. What’s needed is political will from Mediterranean’s EU nations to take real action, and to take it now, before, it’s too late. Our Fish hopes that this October, Our Ocean delegates aren’t taken on a daytrip to see the Azure Window. Delegates should be told the truth about its collapse, and European nations their guests the truth – the Mediterranean is in a dire state, and needs all the help it can get. Rebecca Hubbard is Campaign Manager for Our Fish, which works to ensure European member states implement the Common Fisheries Policy and achieve sustainable fish stocks in European waters.